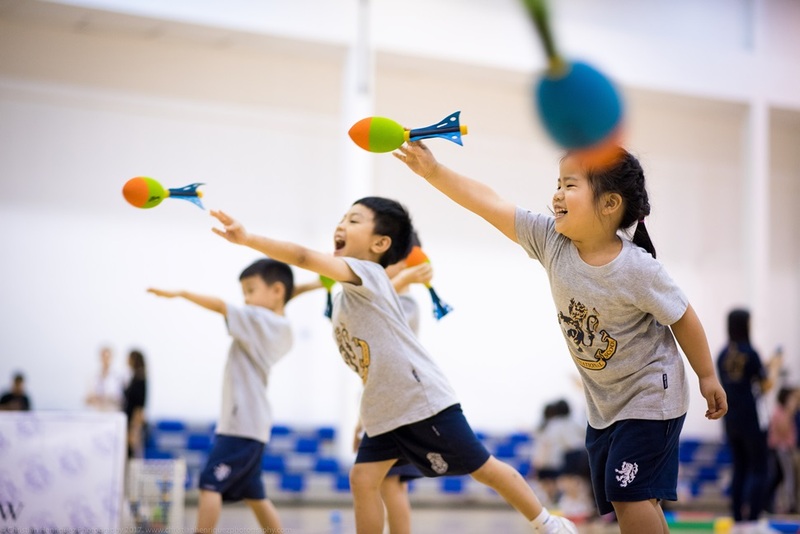 More and more parents in Thailand are realising the benefits of sending their children to an international school so there is stiff competition for places at the best. However, enrolling your child in the Early Years will give them an advantage. 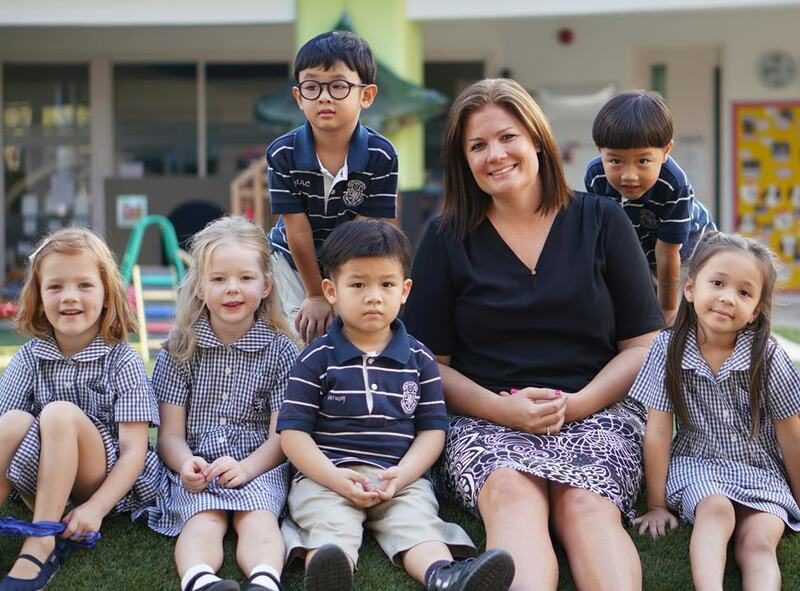 With its world-class reputation, here Kate Umpleby, Head of the Early Years Phase at Harrow Bangkok, explains why she believes her Early Years Centre (EYC) will give your child the advantage and start them on the high achieving path that many Harrow Bangkok graduates have taken. ‘Above anything else, the children's needs come first. The children's safety, the children's happiness, their well-being; that is absolutely paramount to us because without that the learning can't happen.’ Kate assures. And the children in the EYC do feel safe and happy. They are taught by experienced, compassionate teachers, teaching assistants and child care assistants who follow rigorous health and safety and safeguarding procedures. 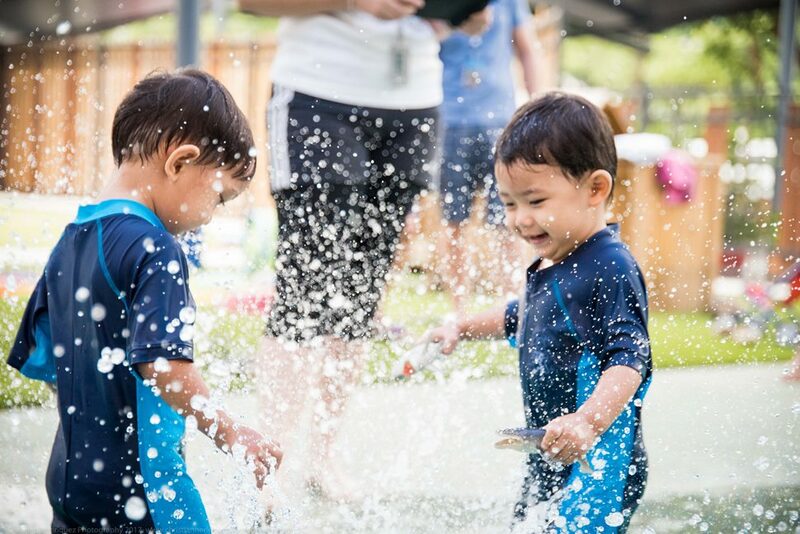 As for the learning, Harrow Bangkok Early Years deliver through a play-based approach, guided by the British Early Years Foundation Stage curriculum and with a strong emphasis on developing the foundations of core basic skills such as reading, writing and mathematics. ‘Through our play-based thematic approach, children are learning and they don’t even realise it - they think they're playing. There is a strong emphasis on exploration, investigation and creativity. It is a child-led approach, the children choose what they want to do and how they want to use the resources available. The adults join the children, at times guiding their play and gently steering it to meet the objectives of the curriculum.’ Explains Kate. Children learn through their play. It allows them to explore, discover, negotiate, take risks, construct meaning and solve problems all in a safe way. 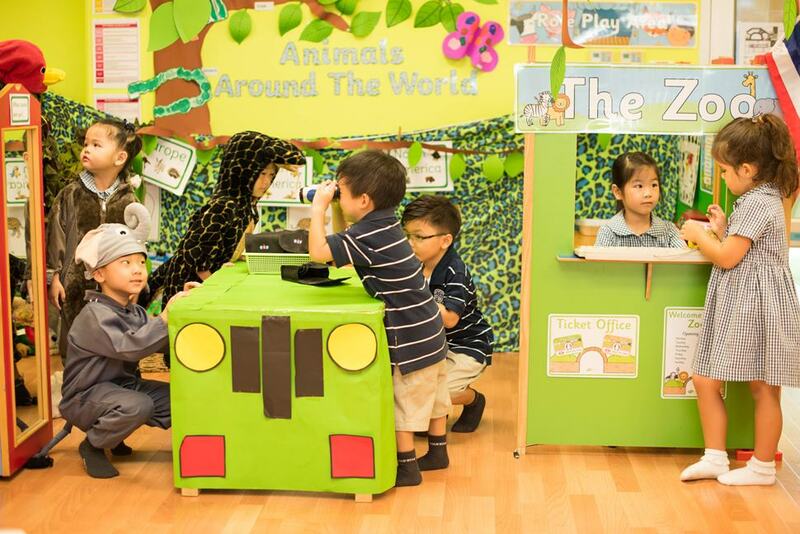 With a play-based curriculum, skilled teachers capitalise on the young learner’s natural desire to play and build learning opportunities around it. For play-based learning to be effective the right environment is key. Spaces are skillfully set up to maximise learning opportunities. Every single object has a purpose. It could be to facilitate language and communication, develop number skills, creativity, enquiry or investigation; the key skills children will need for the future. In action, some classes at the moment have pet shops as their role play areas. 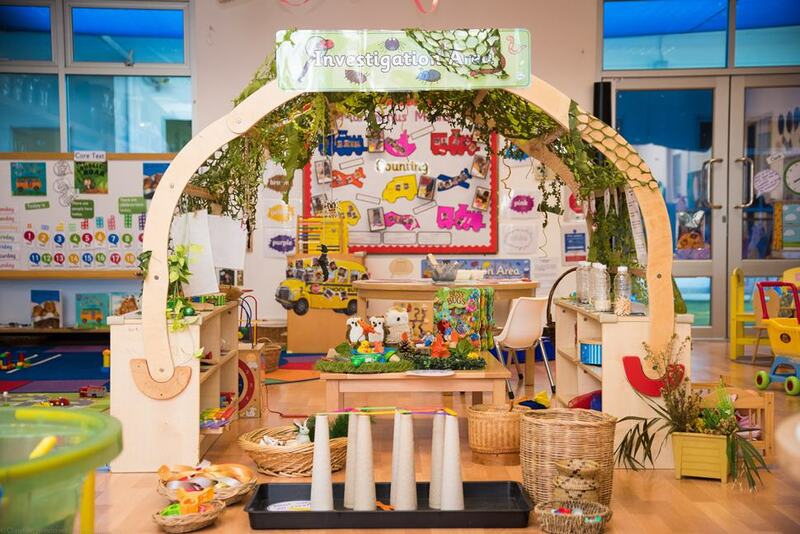 It’s a fun play environment from the children’s perspective but for teachers, it provides numerous opportunities for developing skills across the curriculum. For English, students develop associated vocabulary, for social and emotional development they practise caring for living things, scientific understanding is developed by identifying the characteristics of different types of animals, for maths it might be number recognition by buying and selling. ‘For our future generation these skills are going to be absolutely crucial. We need children who are willing to investigate, problem-solve and take risks with a high level of emotional intelligence. Through child initiated, play-based learning that's what they're doing. They're building confidence to investigate, negotiate, communicate, and even if they're not quite sure how it's going to work out, they just go for it!’ Kate insists. 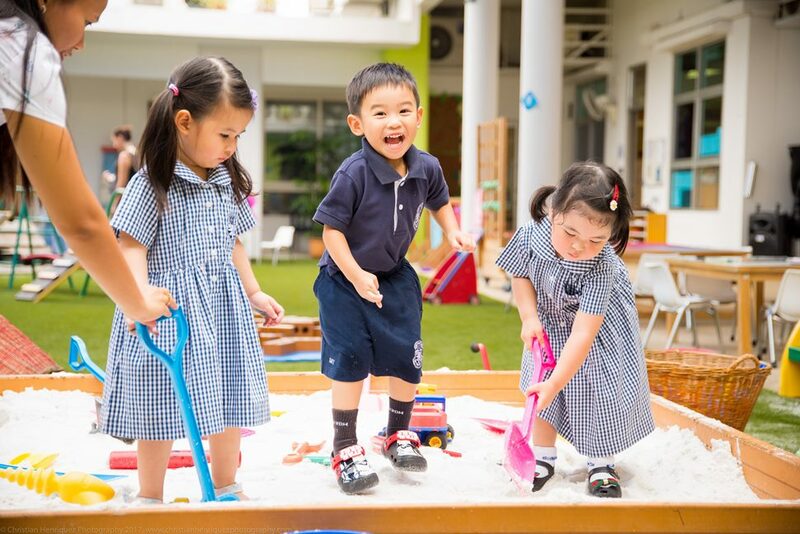 All teachers and staff in the Early Years Centre at Harrow Bangkok are highly qualified, experienced and passionate about providing the very best for every child. The EYC is a purpose-built centre designed for learners aged 18 months to 5 years old. Their state of the art facilities include 3 playgrounds, numerous outdoor shared learning spaces, a soft play room, a music room, dining room, Thai Studies room, adventure playground and splash play areas. The school’s 35 acre garden campus gives children room to grow and soon getting there will be even easier with Harrow Bangkok’s private access road.